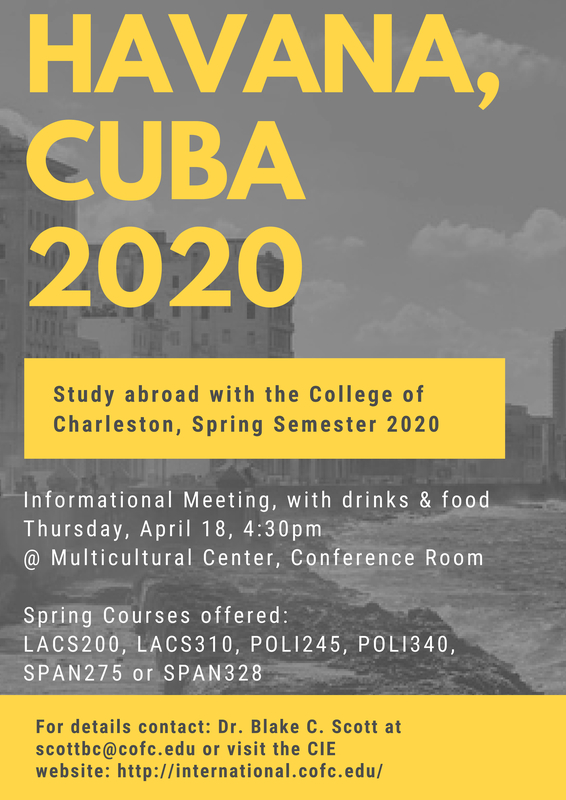 Welcome to the Latin American and Caribbean Studies Program (LACS) at the College of Charleston! Housed in the School of Languages, Cultures and World Affairs, the Latin American and Caribbean Studies Program promotes cultural exchange and interdisciplinary research in a key region of today's globalized communities and economies. 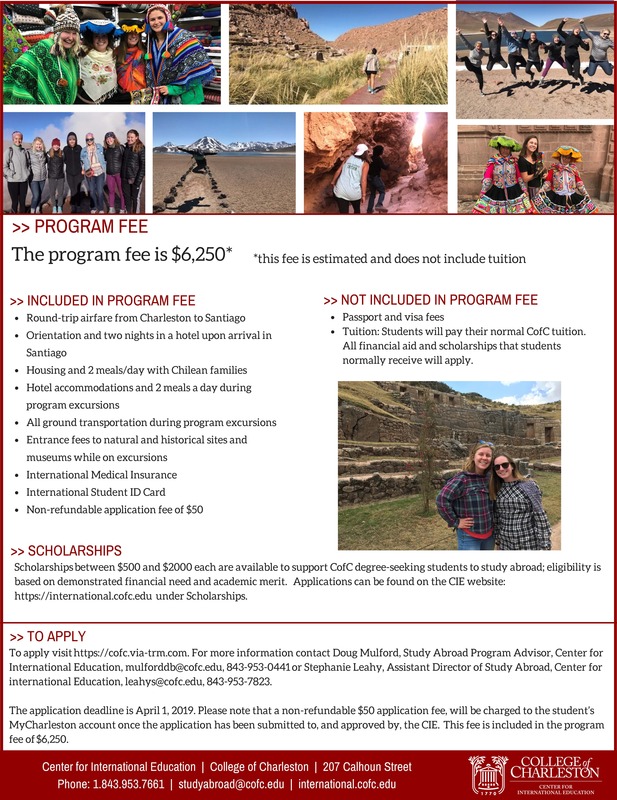 The Program offers students the opportunity to immerse themselves in the study of the languages, literature, history, politics, art and culture of Latin America and the Caribbean. It allows for faculty members and students coming from a wide range of areas but with a common interest in the region to benefit from an intellectually stimulating trans disciplinary environment. 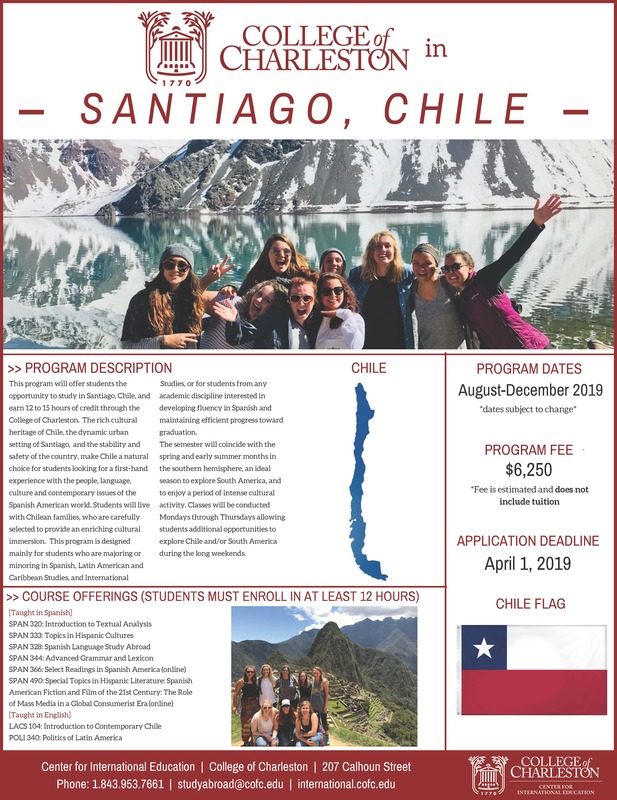 The Program provides our Majors with full linguistic and cultural immersion by requiring them to spend a semester or a summer abroad in one of the many College of Charleston programs sponsored by LACS; at renowned Latin American or Caribbean universities affiliated with the College of Charleston; or through approved independent programs. The LACS Program is also committed to assisting its students with their post-graduation job searches by tailoring an internship opportunity to each LACS Major's area of interest and needs. Read about one student’s experiences in the LACS program here. LACS graduate Tom Laffay (CofC’11) is a photojournalist, documentary filmmaker, and human rights activist previously based in Central America and currently living in Colombia. and this video by Julie Kramer who went on the Cuba program.